Hi, my name is Moe Haneda. I'm interested in environmental problems, food, plants and agriculture, so I entered The College of Agrobiological Resource Science (Seibutsusigen). To understand these more, I want to study chemistry and biology harder. I want to understand writing in English. I think it is useful for study or work in the future. I belong to the Japanese flower arrangement club. Japanese flower arrangement is difficult for me because I can't image the completed version. I am happy to see other club member's works and I like flowers. I'm like to read books. I read many kinds of books. Today, I like to read essays especially. When I read essays, I realize many aspects of daily life, and I want to enjoy our daily life. I like to watch sports programs on TV. I hate to watch martial arts programs. I think it is cruel and primitive. I usually watch high school baseball, figure skate, volley ball and so on. I don't like to see martial arts, neither except Kendo, Karate and other arts aiming self-defence . Who is your favorite writer who writes essays? Comments on my students' posts are most welcome. Please be advised that comments on this blog are moderated. Any abusive comments will not be approved. Also, anonymous comments will never be approved. A New Academic Year at Hakuoh University begins! My worst experience by Takehiro N.
The Meaning of Studying Western Classics by Chiaki K.
My self introduction By Miki Y. 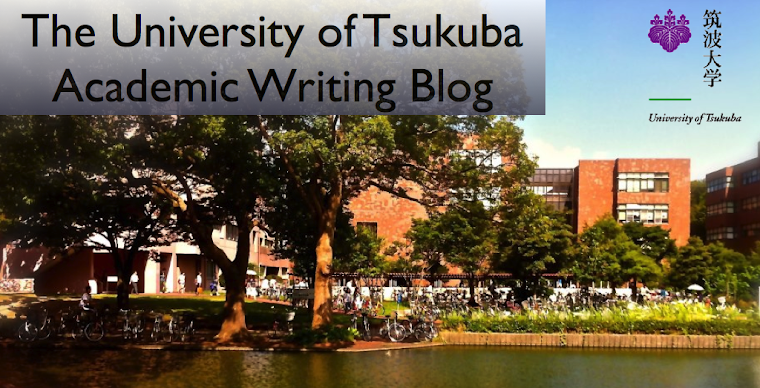 My life at the University of Tsukuba by Keiko H.
My life at the University of Tsukuba by Miyu O. My life at the University of Tsukuba by Kyoko N.
My life at the University of Tsukuba by Mizuki A. My life at the University of Tsukuba by Aoi. My self introduction by Kyoko N.
My life at the University of Tsukuba by Midori H.
My life at the university of Tsukuba by Ai M.
My life at University of Tsukuba by Maki O.